Cheap Vintage Rugs, Affordable Persian Rugs, cheap antique rugs, vintage rugs, Persian rugs, vintage Turkish rugs, etc. 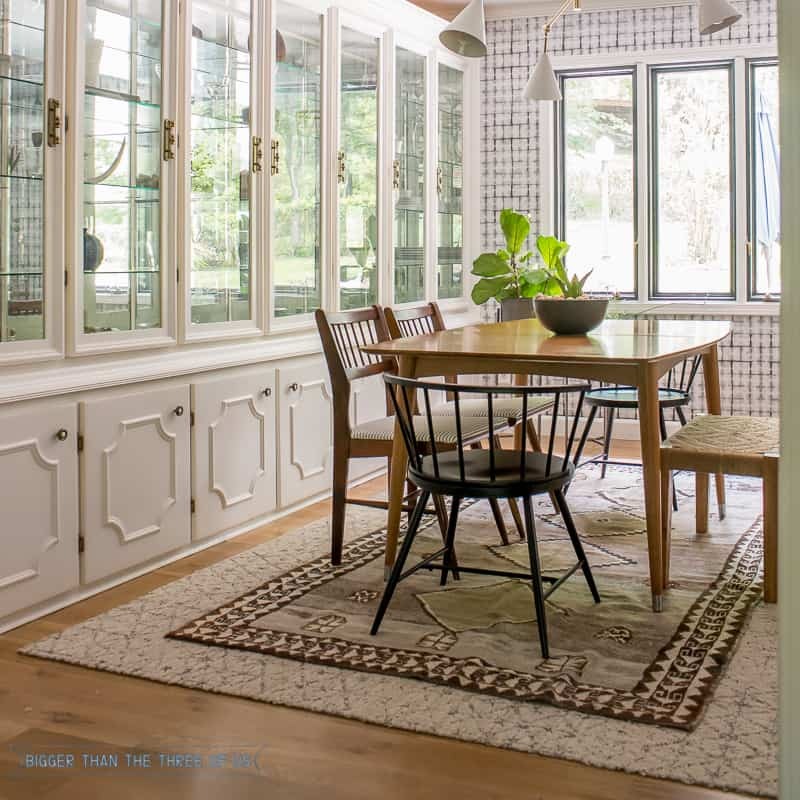 The list goes on and on for what you can search for when you are trying to find the perfect Cheap Vintage Rugs for your spaces. 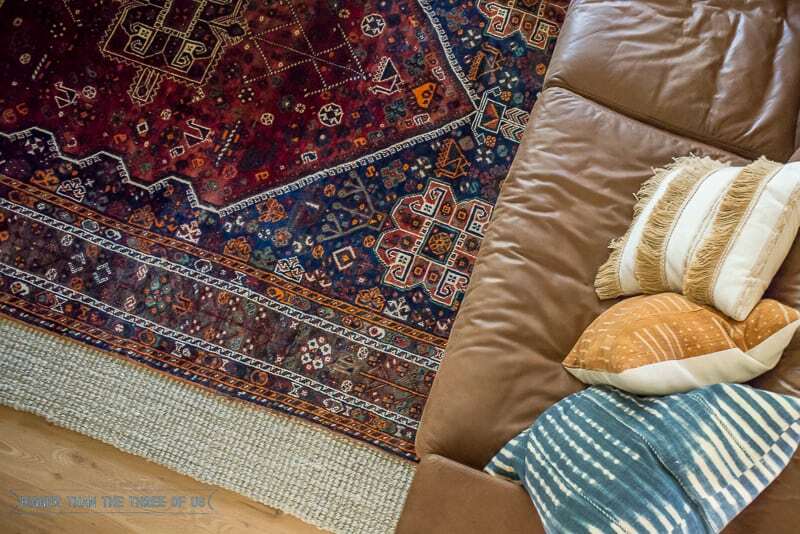 A ton of you have told me that you loved my post, Where to Find Affordable Vintage Rugs, so I wanted to follow-up on that post and take the search for cheap vintage rugs a bit further. In my last post on vintage rugs, I gave my go-to sources for where I find vintage rugs. I listed some Etsy shops and a few eBay sellers. I still love those resources and check them frequently. However, I also know that there are so many other vintage rug dealers out there and it’s good to know how to search for new shops. When I go to eBay to search for rugs, I use quite a few different keywords. With these keywords, in mind, I do a few things depending on the day. One thing in particular on price that you HAVE to keep in mind is that if you have a budget of say $300, you don’t necessarily want to set your price parameter to cap at $300. Instead, I would recommend using my favorite filter function, the “Accepts best offer” filter. What this means, is that you can sort under “Persian Shiraz Rugs” for sellers who will let you give them a price that you want to pay. They can either accept or deny your price. 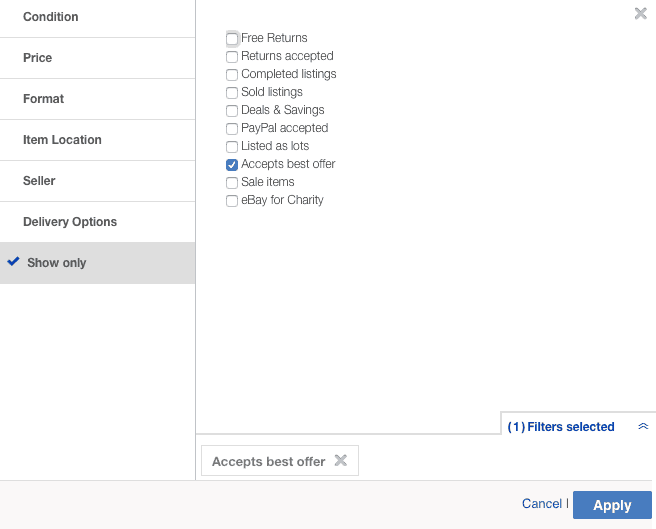 Here’s a screenshot of where this is located on eBay. Recently, I got a smaller Shiraz rug that I feel like I got a great deal on using the “accepts best offer” filter. It was a 3.1 x 4.8 ft Antique Persian Carpet (listed as Carpet instead of rug) and was originally listed at $250 with minor wear and tear. To be honest, that isn’t a bad price but for a deal-seeker like me, but it was a bit high. I scanned other similar rugs and decided to offer $100. The offer was accepted and five days later, my rug arrived. Let’s change gears and talk about how to find antique rugs on Etsy. First thing, make sure to follow my Vintage Rug Board on Etsy to keep up-to-date on my favorites. The first thing I do on Etsy, is go to “Home & Living” and then select “Rugs.” New rugs, doormats, antique rugs, semi-antique rugs, etc., will show in the search results. 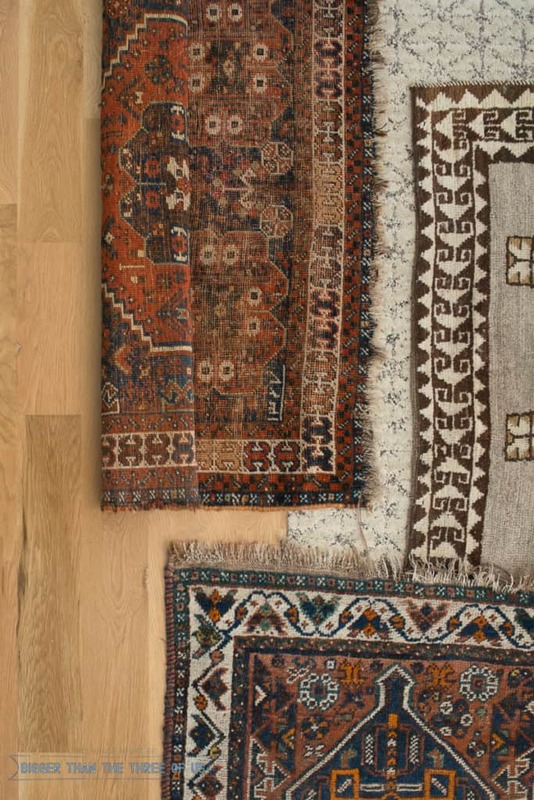 It’s up to you to filter the results so it shows the antique carpets or antique rugs (remember to use both those terms when searching) that you want to see. Then, it’s really up to what I’m looking for in a rug that determines my next selections. I can choose to filter by size, color, shape, price, etc. One, thing I will note is that if you think you will keep coming back to rug searches, it works great to “Favorite” rug shops on Etsy to easily browse their selections. I find that I come back to the same shops all the time or I find a rug while searching and then see that it’s from a shop that I’ve already favorited. I listed some of my favorite Etsy Rug Sources in my Affordable Rug post and recently talked even more about how to find rugs and rug sizing on my podcast, so you can check those out! Also, you can keep up with new sources by following me on Etsy. I created a profile where I’m curating things that I love and have in my home or pieces that I’d love to own.